This 20.6 cu. 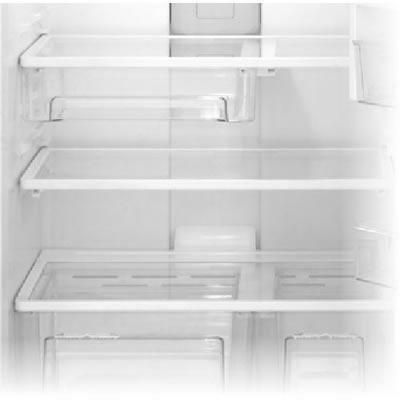 ft. Energy Star® qualified Whirlpool top freezer refrigerator meet the CEE Tier 3 standard, and features smooth, contoured doors, hidden hinges and a flush base grille. 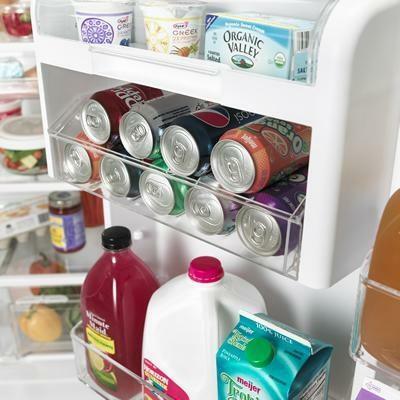 Right fit gallon door bins are perfectly sized to hold gallon containers of your favorite beverages and can be adjusted to accommodate taller containers. Save more energy while bringing a modern look to the kitchen with the industry's most efficient top-freezer refrigerator available. Total 20.6 cu. ft. / 0.58 cu. 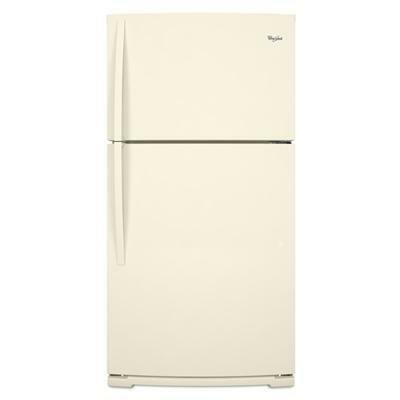 m.
Refrigerator 14.46 cu. ft. / 0.41 cu. m.
Freezer 6.19 cu. ft. / 0.18 cu. m.
Additional Information ADA Height and Side Reach Compliant; 1 Fixed Full-Width, 2 Adjustable Full-Width Shelves; 1 Dairy, 1 Fixed Full-Width, 1 Fixed Partial-Width, 3 Adjustable Half-Width Gallon Bins; 2 Freezer Shelves; 2 Fixed Full-Width Freezer Door Bins. Dispenser Features EZ Connect Ice Maker Compatible (Optional). Additional Dimensions Depth : 32"; Depth Closed Excluding Handles : 30 5/8" Height 66 5/16"; Width : 32 1/2"; Cutout Depth : 31 5/8"; Cutout Height : 66"; Cutout Width : 33"; Height To Top Of Cabinet : 65 1/2"; Depth With Door Open 90 Degree : 62 5/16"; Depth Excluding Doors : 28 1/2".